The hype for virtual reality has been building up for years now, and in 2016, it’s finally going to have a chance to explode in a way we’ve never seen before. In the span of a few months, we’re going to see at least three VR devices launched — and possibly more. The Oculus Rift sits at the top of the list, mainly for its superior specs and the sheer number of games available. Its two biggest competitors are the HTC Vive and the Playstation VR, which aren’t bad by any means. This, of course, makes it difficult to pick between the three Oculus Rift vs. HTC Vive vs. Playstation VR: Which Should You Buy? Oculus Rift vs. HTC Vive vs. Playstation VR: Which Should You Buy? Virtual reality is right around the corner and there are three systems to choose from. Here's what you need to know to make an informed, smart decision. Read More . But maybe this list will help. Here are some of the most impressive VR games that you’ll be able to play this year, all of which are worth experiencing. Let us know which ones you’re excited for! Leaving Minecraft off of this list would be an injustice. Not only is it one of the most popular and best-selling games in the world, but it’s the kind of game that’s perfect for virtual reality. A first-person adventure through randomly-generated worlds? It just makes sense. Plus, with the wide variety of mods available How to Mod Minecraft on the PC (And Why You Should) How to Mod Minecraft on the PC (And Why You Should) Minecraft mods are very popular, but not easy to install. Here's a quick guide on how to do that. Read More , Minecraft can be altered and adapted in an infinite number of ways. Want to walk through Westeros? How about Middle Earth? Or even a to-scale representation of Great Britain? Yep, all of those have been done Are These The 5 Greatest Minecraft Worlds Ever Built? Are These The 5 Greatest Minecraft Worlds Ever Built? We're almost five years past its first public release and Minecraft is still one of the most played games in the world. Despite the primitive graphics, these worlds are so grand and so lively that... Read More . Minecraft will be playable on the Oculus Rift come Spring 2016 — an unofficial VR mod exists if you can’t wait that long — and will also support the Gear VR whenever that gets released. You should keep your eyes on EVE Valkyrie regardless of whether you play EVE Online — the only relation between the two is that they take place in the same universe. In short, EVE Valkyrie will be a space dogfighting game with both singleplayer and multiplayer modes. The thing about this game is that everyone who pre-ordered the Oculus Rift will be getting it for free, so there’s a lot riding on its success. A strong showing could propel the Oculus Rift to even greater heights than previously thought possible. A flop could mean the end. Fortunately, people are saying that the EVE Valkyrie alpha build is looking good, so it’s probably safe to let yourself be hyped up. As far as space dogfighting games go, this will probably be the best title in 2016. Another big space-faring title that can really take advantage of VR incorporation is Elite: Dangerous, and it’s good news that the game is set to support both Oculus Rift and HTC Vive — unlike EVE: Valkyrie, which is set to be an Oculus Rift exclusive. Elite: Dangerous has been out for just over one year at the time of this writing, and it launched to fairly positive reviews. It’s not a game that everyone will instantly like, but the ones who do tend to fall in love with it pretty hard — and with VR, it’s going to be an unforgettable gaming experience. Imagine playing a game where all you do is drive across the countryside from city to city, making deliveries for money. Sounds tedious and job-like, right? That’s pretty much the basis of Euro Truck Simulator 2, which somehow managed to win tons of positive reviews for its gameplay. For those who remember, it’s actually a bit reminiscent of that old educational game we used to play in school 9 Old Educational Games You Can Play Right Now for Free 9 Old Educational Games You Can Play Right Now for Free Miss those educational video games from the 80s and 90s? You can play them again right now for free! Read More called Crosscountry Canada. It’s strange how fun that game was, isn’t it? But the game is even better with VR. It actually feels like you’re driving a truck and making deliveries across beautiful landscapes, and as far as immersion is concerned, it achieves that perfectly. Only the Oculus Rift is supported at this time. 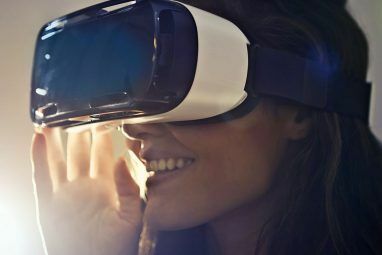 One of the most anticipated uses for VR 5 Amazing Non-Gaming Ways People Are Using Oculus Rift 5 Amazing Non-Gaming Ways People Are Using Oculus Rift "It's just a gimmick." That's what people said about the Wiimote, the Kinect, and more recently Google Glass, and that's what they're saying about the Oculus Rift. If you're one of them, I implore you... Read More will be for interactive roleplaying. It’ll be a while before something like that becomes available, but that’s okay because for now we have Chronos, an atmospheric RPG that gets immersion and scale right. Some have described it as an artful mixture of Zelda, Dark Souls, and Shadow of the Colossus — three of the most well-received titles in the past decade or so — so if you’re feeling excited about it, I can’t blame you. The game has a lot of potential. Let’s hope it delivers. Chronos is set to release as an exclusive title alongside the Oculus Rift. If you’re looking for a survival sandbox game, look no further than ARK: Survival Evolved. It’s one of the few games in its genre that actually got things right, at least to a degree. It’s not perfect, but it’s a great game that’s polished and worth trying. And the whole idea of survival sandboxes is ripe for VR inclusion. Can you imagine actually walking up to a VR dinosaur or trudging through a VR forest in the dark of night? Sounds awesome, if you ask me. The game hasn’t actually been released yet, but if you buy early access, you can already play it with the Oculus Rift DK2. There are plans to eventually support the HTC Vive and the Playstation VR as well. What’s yet another highly-anticipated use for VR? Horror! If VR’s biggest strength is atmosphere, immersion, and sensory overload, then it makes more than enough sense that it should be used to create horrific environments and scenarios that will do what a simple screen cannot. That’s where Dreadhalls enters. Did you think Amnesia was scary? Then you probably shouldn’t play this game, which is an intensely eerie dungeon crawler that can build tension like no other. Seriously, don’t say we didn’t warn you. It will release alongside the Oculus Rift as an exclusive, and will also be available on the Gear VR. But audio is an important element in this game, so make sure you also have a good pair of headphones The Best Wired Headphones 2019 The Best Wired Headphones 2019 Looking for the best wired headphones? Here are our favorites, ranging from ultra-budget to high-end! Read More . If Dreadhalls wasn’t enough to satiate your horror-seeking appetite, then you’ll probably want to add The Town of Light to your list as well. Even if it doesn’t scare you out of your seat, it will at least unsettle you in ways you didn’t expect. It is a psychological thriller, after all. You play as a tormented girl who has to figure out who she is and why things are the way they are. The game is set in a place that’s modeled after a real location, in case you weren’t creeped out enough. The game is already out and supports the Oculus Rift DK2. The last game we want to highlight is VR Sports Challenge, which some people are calling “Wii Sports for virtual reality”, which is an apt comparison if you think about it. It’s a fun little game that works great as an introduction to the whole VR concept. You can play four major sports — Football, Basketball, Hockey, and Baseball — and each one is a simplified form of their real sport counterparts, so you can think of them as glorified mini-games if you want. But they’re fun, and that’s all that really matters, right? VR Sports Challenge will be launched alongside the Oculus Rift as an exclusive title, but more importantly, it will also support the Oculus Touch when that gets released later in the year. Which VR Games Are You Hyped For? 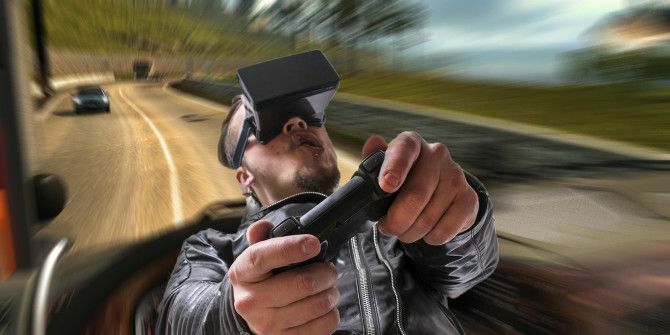 There’s no doubt about it: the Oculus Rift is definitely going to change the way we play games, and it won’t be the only one moving us in that direction thanks to the HTC Vive, Playstation VR, Gear VR, and even Google Cardboard. 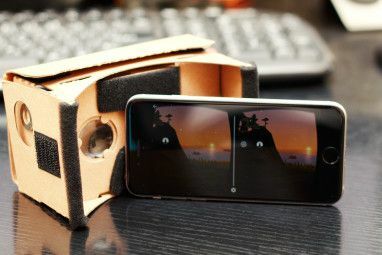 Indeed, check out these awesome VR games and apps for Google Cardboard 20 Best VR Apps for Google Cardboard 20 Best VR Apps for Google Cardboard If you have a Google Cardboard, you need to download these apps. Read More ! Explore more about: Oculus Rift, Virtual Reality.